MOSCOW, September 29. /TASS/. 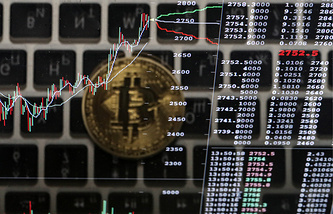 The Russian Finance Ministry suggests including cryptocurrencies into the 2023 population’s financial literacy improvement strategy, minister Anton Siluanov said on Friday on the air with Rossiya 24 TV Channel. "We see here more risks than recommendations on investing into instruments of such kind. That is why an explanation of potential consequences of investments into unregulated and hardly predicted instruments will be an issue of financial literacy we will support this year and until 2023," the minister said. Russia’s Prime Minister Dmitry Medvedev earlier signed an enactment approving the financial literacy improvement strategy in Russia for 2017-2023. The status of cryptocurrencies is not legally regulated in Russia as of yet.